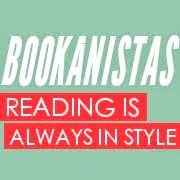 Holy catfish, there’s so much going on for the Bookanistas lately! 1. We have three new members I’d like to introduce you to. Welcome, Veronica Roth, Megan Miranda, and Jesse Kirby! 2. The cover of Elana Johnson’s POSSESSION has been revealed. I urge you to stop by Beth Revis’ and Jamie Harrington’s blogs to check it out. It’s stunning and makes me want to cry a little for all the books that don’t have covers quite as gorgeous. 3. Lisa Roecker is about to have her baby and is going on maternity leave from blogging. So Laura will be hijacking going solo until Lisa’s return, much to Lisa’s dismay relief. Check out the hilarious announcement. 5. Christine Fonseca’s book EMOTIONAL INTENSITY IN GIFTED STUDENTS is coming out on FRIDAY!!!!!! Yahoo!! So excited for her. Can’t wait to read her book. Beth Revis and Jamie Harrington are spreading some cover love for POSSESSION. Veronica Roth is dying over some upcoming SCI-FI/Dsytopian book covers. Christine Fonseca is raving over THE REPLACEMENT. Elana Johnson has a special Friday edition, where she helps launch the book, EMOTIONAL INTENSITY IN GIFTED STUDENTS. Lisa and Laura Roecker are crazy over MATCHED. Shelli Johannes-Wells is tempting us with a DESIRES sneak peek! Shannon Messenger is showing some serious MG love with MG SPOTLIGHT. The thing is, you can’t go into a book like this expecting rainbows, unicorns, and bubble gum language. The (amazing) cover tells us this, but so does the description of the premise, the central focus of which is death and Hollywood. And let me just say, Hollywood has to be the most perfect setting for teenagers obsessed with death. Yes, the story was a bit creepy at times—several scenes gave me the shivers, yet I couldn’t wait to turn to the next chapter. I’ll be straight up with you, though. This book is seriously edgy for the teen category. It will likely give you pause and should open the door to discussion between teens and the old farts in their lives. BUT. Given the subject matter, I think it almost had to be in order for it to feel authentic. You have two teenagers obsessed with celebrity deaths, both of them living in a jaded, LA environment. They ain’t listening to the Jonas Brothers, yo. But this book is so much more than death and Hollywood. JOHN BELUSHI IS DEAD illustrates the very gray space that teenagers exist in, that period in time we question all we’ve ever believed, learning for the first time that not every question has an answer and not every answer is one we can stomach. Their regular visits to sites of grizzly celebrity murders are just a manifestation of their desire to understand death, the ultimate bane of our existence. For Hilda, this macabre obsession is especially poignant. Her pain isn’t obvious at first, though you know from the get-go that there is something really powerful lying beneath the surface. But we quickly learn that at a very young age, in the most horrifying of ways, Hilda has been forced to confront her own mortality, and we realize that beneath the pink hair and the goth appearance lies a little girl who can’t make sense of what has happened to her. So she delves into a world of darkness searching for answers, attaching herself to a creepy dude that seems to get where she’s coming from. It’s all a bit morose, but it’s also that morbid part of her nature that draws the reader in—it helps us understand the demons she’s harboring, even though Hilda herself doesn’t seem to understand why she is the way she is. But along the way, Hilda begins to comprehend the true nature of her demons—and that she’s not alone in having them. We see a romance blossom and a friendship form in the most unlikely of places. And in the process, she is forced to confront her fascination with death and the effect it has had on her ability to live. In the end, we all fade to black. That’s some heavy stuff, no? It’s eerie and a little sad, and yet…oddly comforting, sort of like JOHN BELUSHI IS DEAD. Read it. Be moved by it. Talk about it. JOHN BELUSHI IS DEAD is now available . AWESOME! I want to readthis one I think! Such a great topic. A lot happening in the world of books right now! Thank you so much for such a wonderful, insightful review. It has made my day! In 2087, when I finish my novel, I would love you to review it. You do such a beautiful, honest job. I need this book. I just didn't know it until now. Thanks, Carol! This sounds like a chilling story, Carol. I'll have to put it on my list. Nevermind - it's a stunning title to a very untypical YA premise - a rites of passage but with a bit of hollywood glam and psychosis thrown in. I read this book a few weeks ago. I thought it was a great book. I was very impressed with it. I would read this book based on the title alone. Fantastic review! This is a great book. Not my normal read at all, but a favorite for 2010 nonetheless. Thanks for the review. I haven't heard of this book. Another one for the list! Across the Universe ARCs are out?!?!! OH MAN, I need one of those. This book certainly sounds intriguing! I'll have to check it out. oooh, thanks for the write up. That looks like something I would enjoy.